When you're building garden art, you need a good resource center to keep the inspiration going. The more 'stuff' you have to choose from, the better your rustic art will be (and the more fun you'll have). 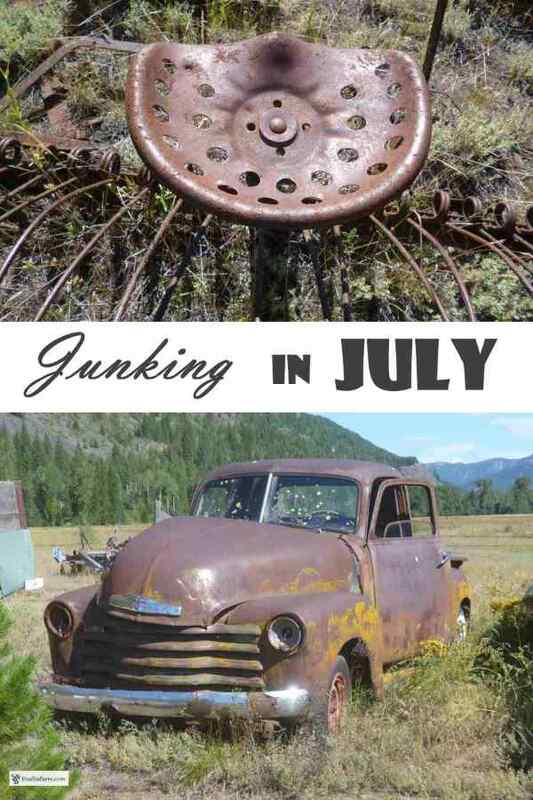 This hot July day was chosen, pretty much spur of the moment, to go to a friends junk yard. 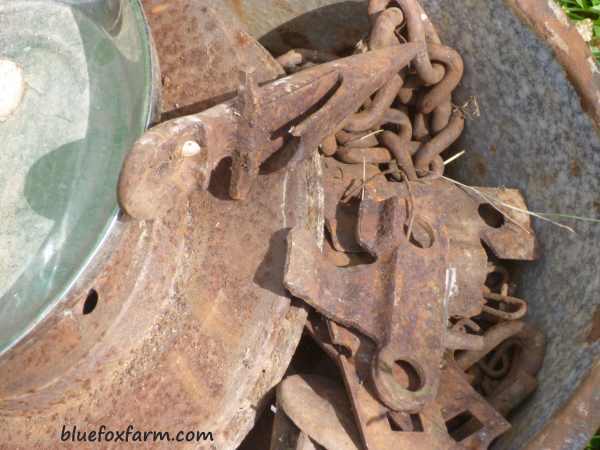 There are lots of old and vintage cars, old machinery and many piles of random stuff to pick through. 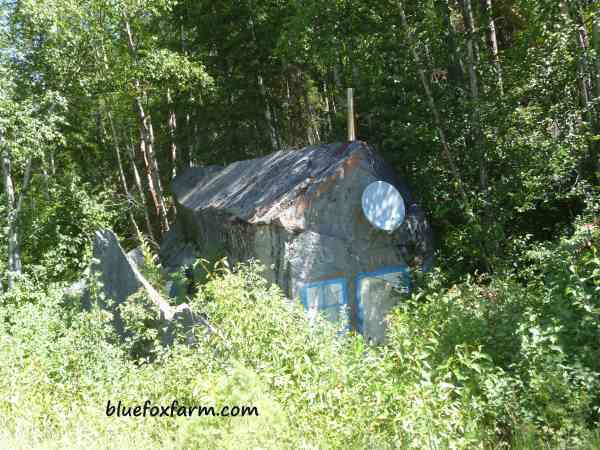 If you have the friendship of someone who owns this kind of boneyard, cultivate them! 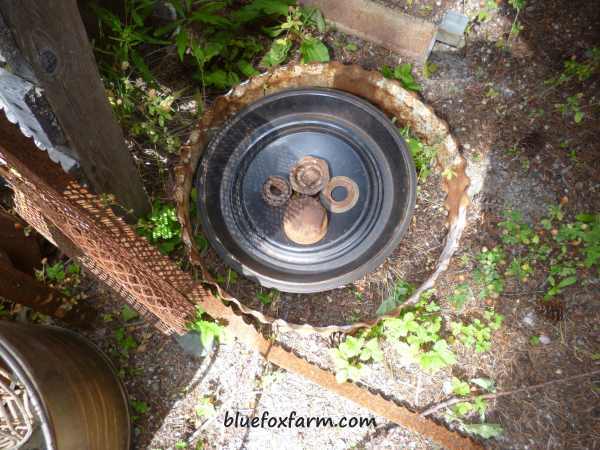 There are a lot of useful things that can be recombined, altered, and repurposed to make into unique and interesting garden art; if they're already rusty from years of exposure to the weather so much the better. It's hard to know where to start, but if you think of what you want to make, that will help narrow it down. In this case, the general gist was; rusty, something to plant into, or wire or nail onto some of my other garden art like the mason bee owls - those eyes take a lot of washers and other round objects! I'm pleased with the haul of objects that I drove away with - for nothing. 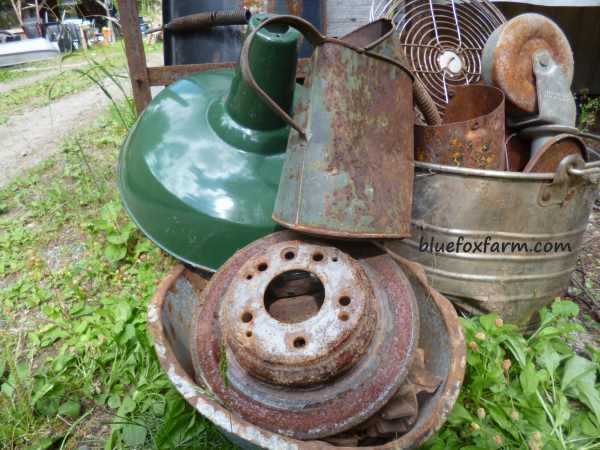 You'll be the first to know what kinds of garden art this 'junk' gets transformed into. Coming home this gigantic house shaped rock caught my eye - obviously it's got a few embellishments, like a chimney and a window.